Do you want to study in Canada? The city of Victoria is home to a few excellent universities and public school's. 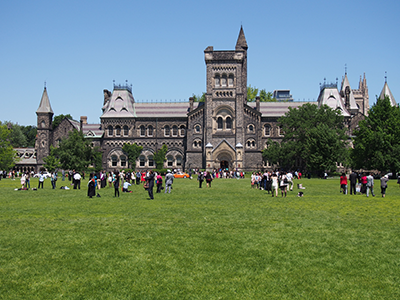 Find out why international students choose to study in the quaint city in Canada. The city of Victoria in British Columbia has an exceptional education system that is ably run by the provincial government of British Columbia. The city of Victoria lies completely within the Greater Victoria School District, which has one public high school within the city’s boundaries. Victoria High School was founded in 1876 making it the oldest high school in Northern America. One of the valuable benefits of living in Victoria is the access to a high-quality education system, many of the elementary schools in Victory now offer the popular French immersion programs in addition to programs in English. From kindergarten through all the stages of a person’s life, in almost every field of learning, you are sure to find an education that suits your needs in Victoria. Post-secondary trade and technical schools in Victoria British Columbia run the full range from hair design, and aesthetics, to business colleges to healthcare training both traditional and alternative. An individual can be able to train for a career in horticulture, the performing arts, driving big rigs or counseling. The Greater Victoria School District – Provides quality education to approximately 20,000 in 26 Elementary Schools, 10 Middle Schools, and 7 Secondary Schools. The Sooke School District – Serving approximately 8500 students, is located on Southern Sooke in Victoria British Columbia. The Saanich School District – Contains 8 elementary schools, 3 middle schools, 3 secondary schools, and is proudly represented by more than 8,000 students. In addition to that, the district also maintains a children’s development center, 2 individual learning centers, and an international student program. Higher education in Victoria British Columbia enjoys the status as one of the cities in Canada with a high international student population. The certificates, degrees and all qualifications obtained from colleges and universities in Victoria are internationally recognized and very sought after by employers. The provincial government aims to attract more international students, reasoning that international students enhance the education experience for all students and that the student’s cross-culture skills enhance future business and cultural development. The University of Victoria is a comprehensive facility offering over 100 programs to 18,000 students in day, evening, and distance-education classes. Whether you are an undergraduate or graduate, or seeking continuing studies, distance learning or co-operative education, you’ll be able to find a plethora of options to further your education at Uvic. In 1995 the government of British Columbia created the Royal Roads University as a public university with a focus on applied and professional degrees. The Royal Roads University maintains strong ties with the Canadian Forces and has now graduated over 20,000 students in the fields of leadership, business, environment, communication and social justice who are working in 60 countries around the world. The education choices for people living in Victoria British Columbia are almost endless, and the city continues to add to the already comprehensive options available. The Provincial government recently announced that it will provide funding for the construction of a new marine training center at Camosun College. 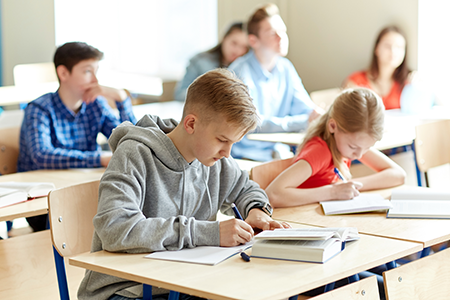 Whether you are seeking a good education for children, to establish or further your career goals, or to continue your lifelong learning journey, you will almost certainly be able to find a school and program to suit you in Victoria.